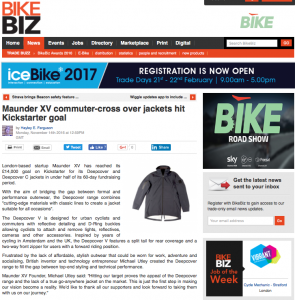 A momentous week for Maunder XV as our Deepcover Jacket Kickstarter project closed; having smashed our funding goal by 123%. The next few weeks will be preparation for going into production in January. Our chosen factory in Salford, Manchester is one of the only outerwear factories left in the UK, so we are very excited to be working with them to bring our product into manufacture. We have selected the finest materials to give the highest quality waterproof, breathable and soft touch outer, with a contrasting fabric thermal inner to keep you warm as and when you need it. 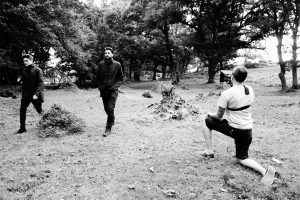 We hope our backers enjoy wearing it as much as we have designing and developing it. We will be seeking both distribution and retail partnerships in 2017. If this is of interest to you, or you would like more information please contact us. Latest update and some of our media! 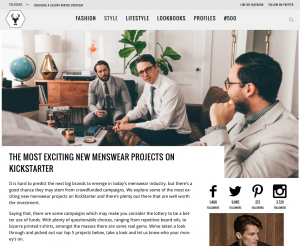 Off the Cuff LDN – Listing us a most exciting new menswear products on Kickstarter. Pretty Green Tea – Business behind the scenes of our project. 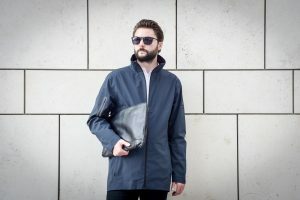 Bike Biz – Sharing with their readers about the Deepcover Jacket bridging the commuter-wear gap. 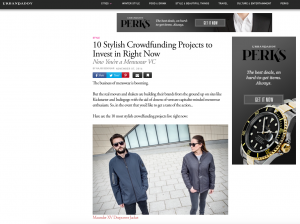 Urban Daddy – Naming us as one of the top of 10 stylish crowdfunding projects to invest in right now. Fashion Maniacs – Advising that we are revolutionising the cold weather outerwear market. 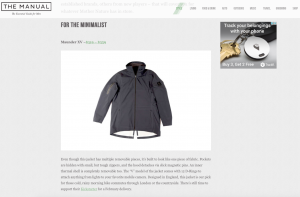 The Manual – Leading with our Deepcover Jacket as one of their 4 recommended outerwear options this winter. Vamper CC – Focusing on the D-Ring functionality for cycling offered by the Deepcover V.
We have been working hard to ensure every detail is ready for when we to go to production once the Kickstarter campaign has ended. There are so many details to consider, jacket trims, shipping, packaging… We are excited for December 15th when the campaign closes! There is still time to back us until then so please share our story with like-minded individuals – family, friends and colleagues. 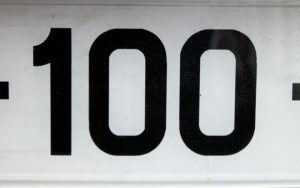 Thank for reading! If you have any questions or comments, please feel free to get in touch! What a great feeling to have reached our funding goal on Kickstarter! Thank you to all our backers, and everyone who have supported our campaign so far. The last year has been an amazing adventure and wow, the last few weeks since we launched on Kickstarter has been so interesting. 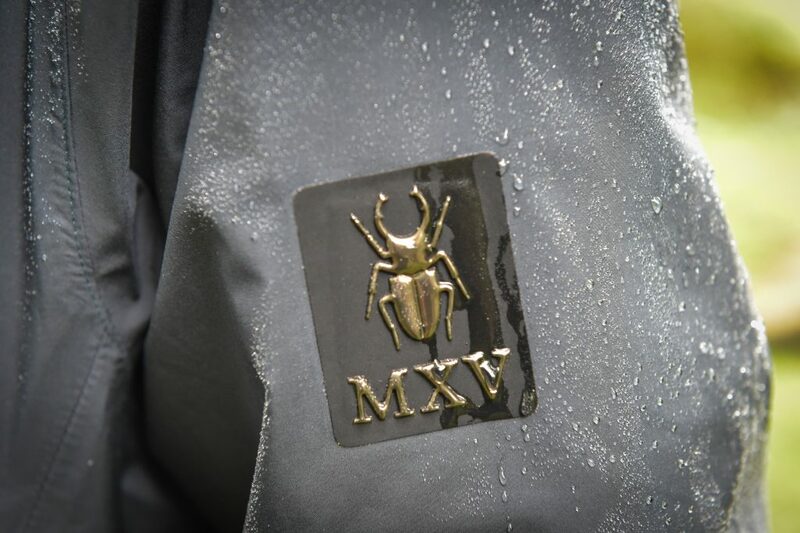 As the nights have drawn in here in England, and the temperature has dropped, we really have seen the demand for the Maunder XV Deepcover Jacket in real life. 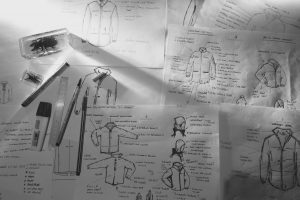 We have been hard at work on the final details with the manufacturer making sure everything is in place to deliver a brilliant garment. We want to get as much support as we can for this great product, share our dreams the ultimate outerwear product with as many people as possible, so if you like what we are doing please share with your family, friends and colleagues. Thanks for now. We will be back in touch next week with more updates. It was cold rainy autumn night in Amsterdam just like this two years ago the the Deepcover jacket was conceived. As the thunder broke above, I dreaded the skies opening once more. My bulky Parker jacket was soaked through, heavy and I cursed myself for avoiding my bright gore-tex shell just because it wasn’t stylish enough. 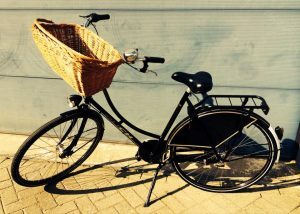 There is only one way to explore Amsterdam and that is of course by bike. Back in this amazing city wearing the Deepcover V is a an great feeling. The jacket is lightweight and allows my body to move as I ride, the fishtail rear and two way front zipper giving great coverage and freedom at the same time. I can detach the hood and safely stash it away when I get to my destination. While conceiving the Deepcover – V jacket I had the idea to find a way to integrate lighting into the jacket, it’s always amazed me that the most visible parts of the body when cycling, the chest and back, are usually covered in dark clothing. There are products out there, cycle specific jackets the either use luminous colours or built in lights, but what happens when I get to my destination? I’m left with garish jacket, or to those new jackets with built in LED lights, I ask myself how durable are those products and are they just seen as tacky? 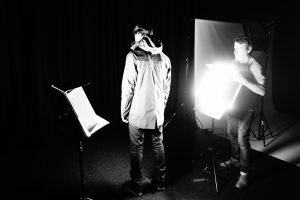 I wanted to use lights I already owed, and I didn’t want the lights to be permanently attached to the jacket. Riding around Amsterdam tonight with a Fibre Flare light attached to the back of the jacket is a real pleasure, I feel much safer than the other commuters dressed in dark colours, I can almost feel the protective glow from the light mounted on my back and I know when I get to the Suzy Wong’s tonight my jacket is going to stay looking sharp, I can just easily unclip the light, and carry on with my evening. Tomorrow the forecast is looking better and I’m happy to know I have the option of zipping out the thermal liner jacket, the Moss Fleck Green looks great with denim! 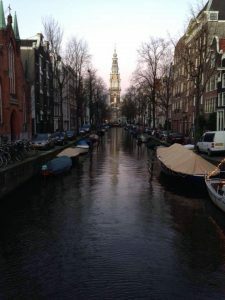 I didn’t pack two jacket I just wore the most versatile jacket on the market, and on this trip commuting around one of Europe’s wettest cities on a bike, it’s given me great protection and so many options. It’s been a real adventure getting this far, and the first few days of our Kickstarter have been great, but we need more people to join our journey and we want to share this great product with as many people as possible. After months, years even, of hard work D-day is finally approaching. 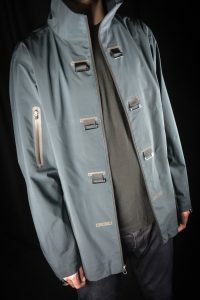 The Deepcover Jacket launch on Kickstarter is ready. The hours have been long and we have been reflecting over the time. Photoshoots, fights, drawing, late nights, dreaming. This jacket was conceptualised in the Netherlands at the end of 2014. The inspiration for our jacket mainly came from our travels that had very fortunately taken us all over the world. Lucky for us we have never been short of inspiration. 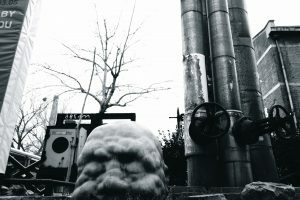 But the same questions regardless of the location seemed to be arising. Why can’t you find technical clothing that is both functional and stylish? In Beijing we rode bicycles around the city (there really is 10 million bicycles), in Berlin we travelled between meetings to dinner and beyond in bad weather, in Madrid the cooler autumn nights meant we wanted a lighter layer that looked smart but definitely needed the extra thermal protection for when we returned to the UK. Inspired, we created a jacket that would cover you for every scenario. The jacket we have built offers an element of safety with the ability to add lights to the D-Ring without comprising the look of the jacket when you remove them, we have included a magnetic detachable hood that still looks sharp (no ugly zips remain on the Deepcover! ), and we have obsessed over the 3 in 1 inner and outer to give the perfect balance of warmth when required. We really hope you love our product. 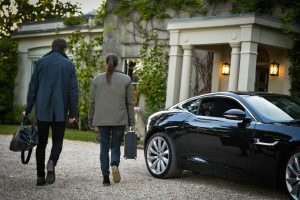 This is just the start… Other products are in design; a trench cape, technical chelsea boot, ath-leisure T. We hope you’d like to join our journey and help to define our path. Back in Milan, the fashion capital of the world and in many ways inspiration for Maunder XV. It’s the city where on a rainy night, after being in the Alps, the pressures of wanting a performance jacket in a luxury style came to a head. I recall vividly being in a hotel room, getting ready for cocktails and dinner at Dolce and Gabbana, looking into my suitcase thinking I wanted more. My Berghaus jacket would make me look like a lost hiker. My suit jacket was creased and not waterproof. Everyone in Milan looks so sharp! I needed more from my clothing…… I needed a perfect all-round jacket. As soon as I got home I started looking. I knew I wanted performance and luxury. 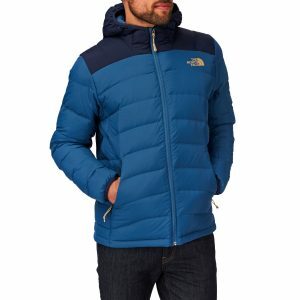 I ruled out Berghaus and North Face, RAB. Jack Wolfskin, Hagloffs and other mountain brands. Should I be sad to say I almost felt embarrassed to wear those noisy bright jackets in a classy restaurant? 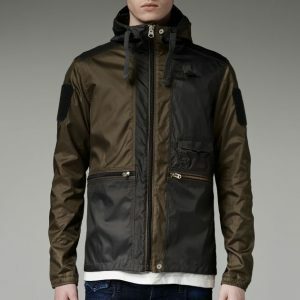 I checked out G-Star, a brand that had been a favourite of mine, but the branding had become loud and no longer subtle. Perfectly demonstrated in the link. I checked on other brands I love. Dickies, Schott, Timberland and especially Carhartt, but these brands weren’t using performance membrane fabrics. I’ve always loved the durability of these brands, they have come from workwear history but it’s not the luxury pitch I was looking for. There’s always that question, the first question… Why? Everyone asks it. My parents asked it. Our business partners asked it. And, of course in our marketing we are asked to answer it clearly to speak to our potential customers. Redefining outerwear in a saturated market is one of our tag lines, and it’s true. 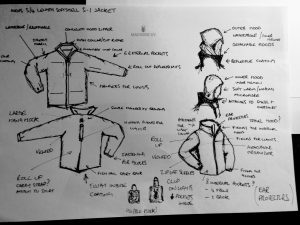 The outerwear market is saturated… What chance does a challenger brand have? It was going to be hot, close and very very wet. I was going to be in the crowds for the football, I would want to carry style at the restaurant and I would dress to gain respect at my meetings, so what to wear? A suit jacket would be out of place at the game, my cotton trench would be soaked through, my Parker was far too warm, and if I wore a mountain jacket it just wouldn’t work for business. I longed for the Maunder XV Deepcover samples that we had distributed. Then, I was reminded that we still had an early sample hanging in our office, so that was it….. And there was the answer to THE question.